Beetroot stores well and therefore should come from Britain this time of year. 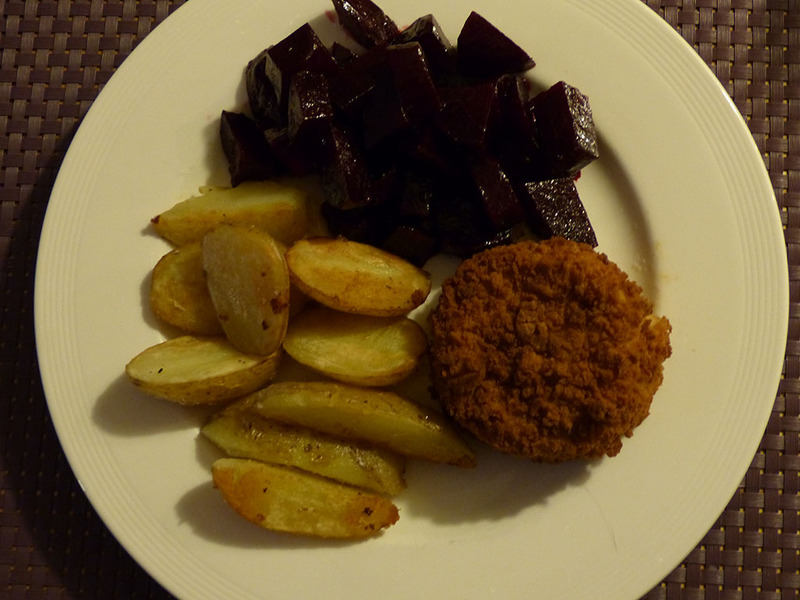 When buying uncooked beetroot cut off the stalks and cook (skin on) in plenty of water for around 45 minutes. They are ready when a fork goes in easily and the skin peels off easily. Peel off the skin and cut off the top and bottom. Cut the beetroot in slices or cubes and marinate in the olive oil, orange juice and balsamic vinegar. Leave for at least 30 minutes for the flavours to infuse. Cook the fishcakes following the instructions on the packet. You can serve your potatoes any way you like: boiled for 30 minutes or boiled and then fried in a little bit of butter.